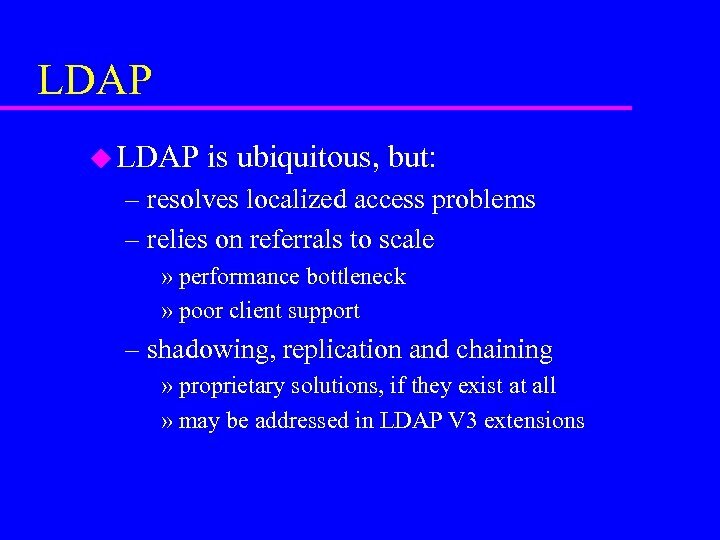 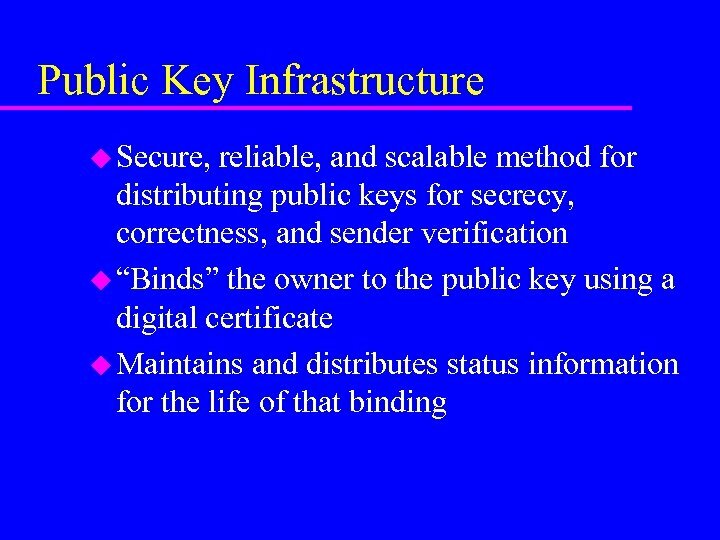 Background u Secret key cryptography works, but key management is a nightmare u Public key cryptography uses two keys – one that is secret to the “owner” – one that is widely available u And all our problems were solved? 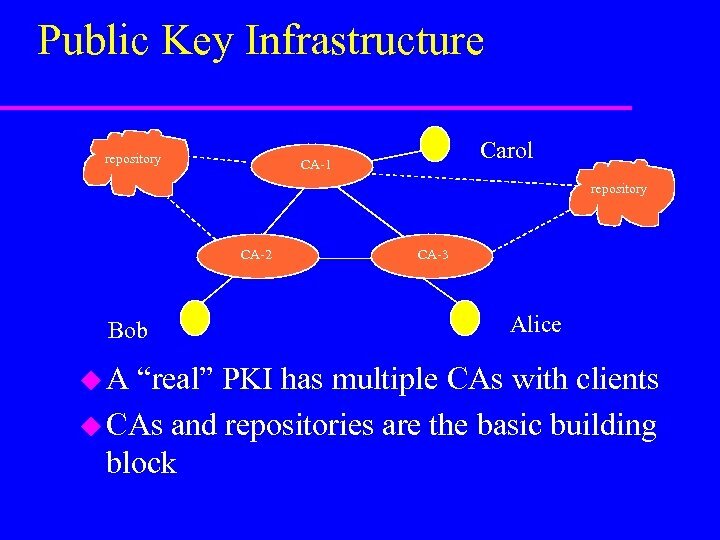 – who’s key is this anyway? 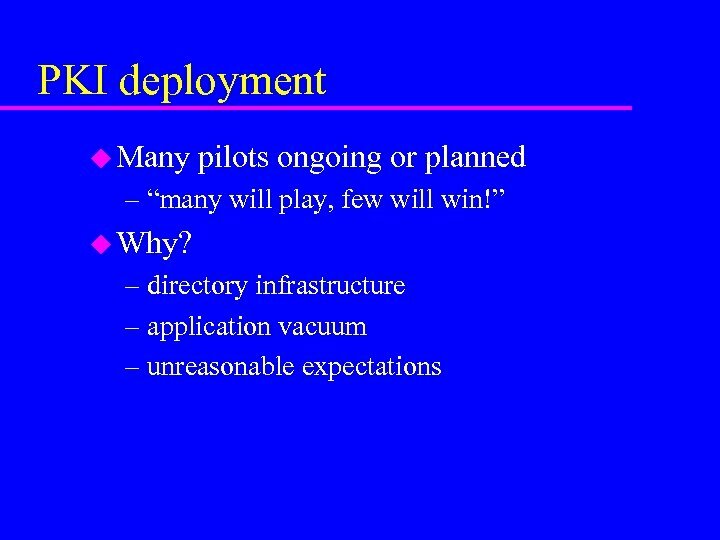 – who says so? 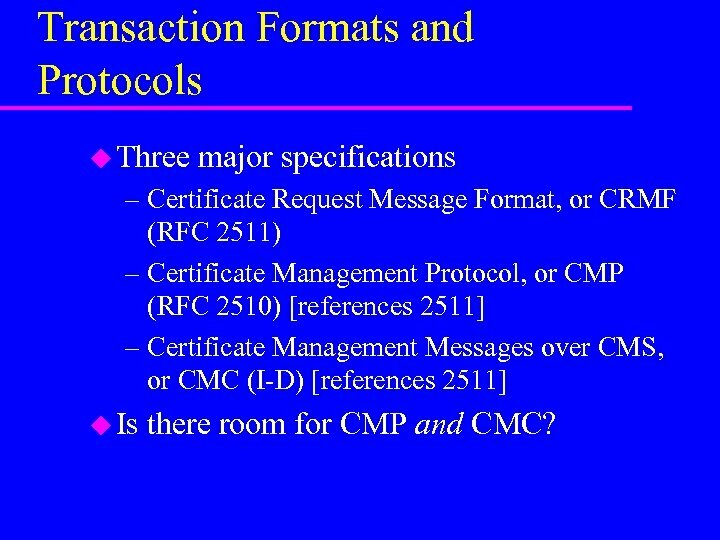 Transaction Formats and Protocols u Three major specifications – Certificate Request Message Format, or CRMF (RFC 2511) – Certificate Management Protocol, or CMP (RFC 2510) [references 2511] – Certificate Management Messages over CMS, or CMC (I-D) [references 2511] u Is there room for CMP and CMC? 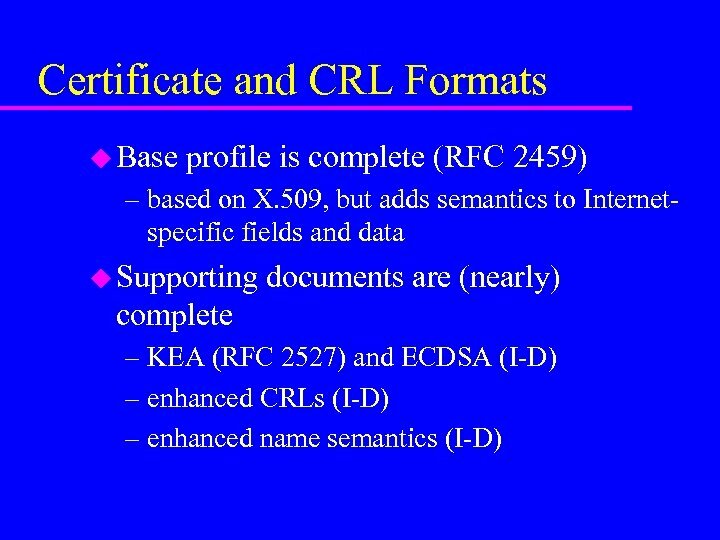 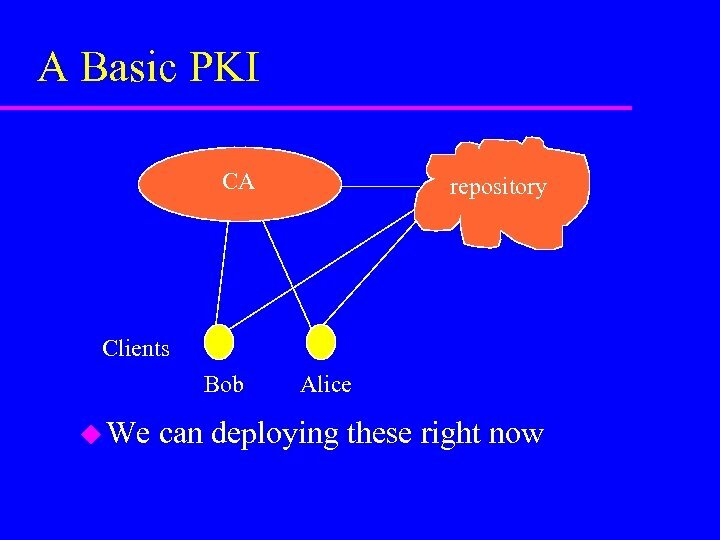 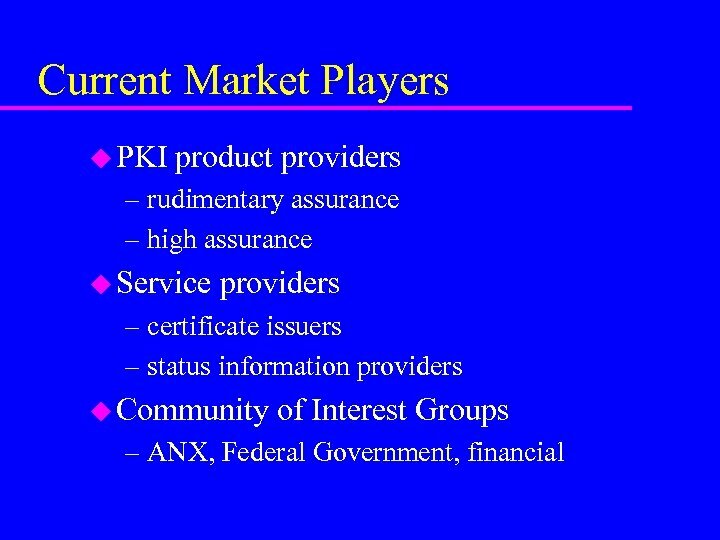 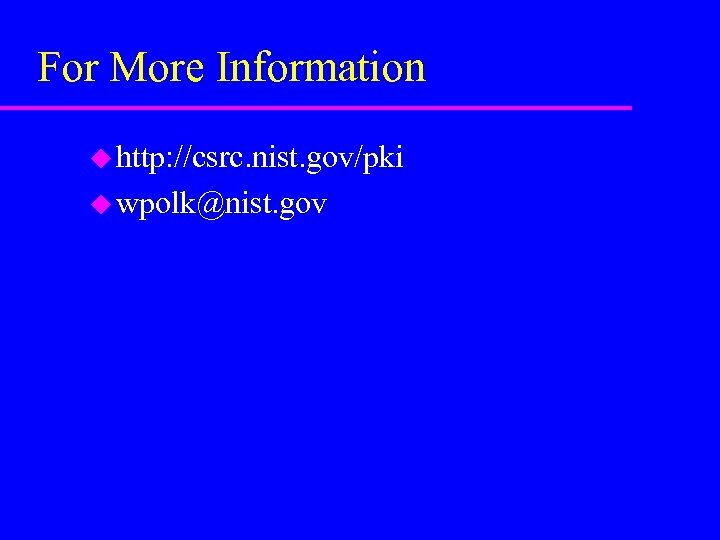 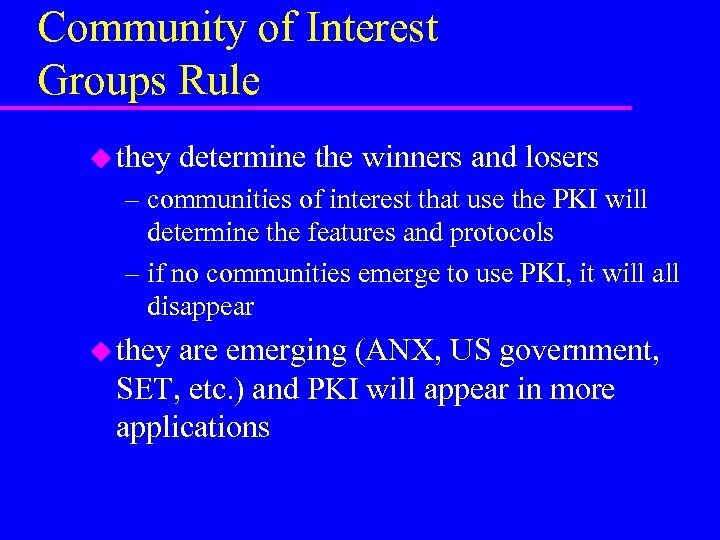 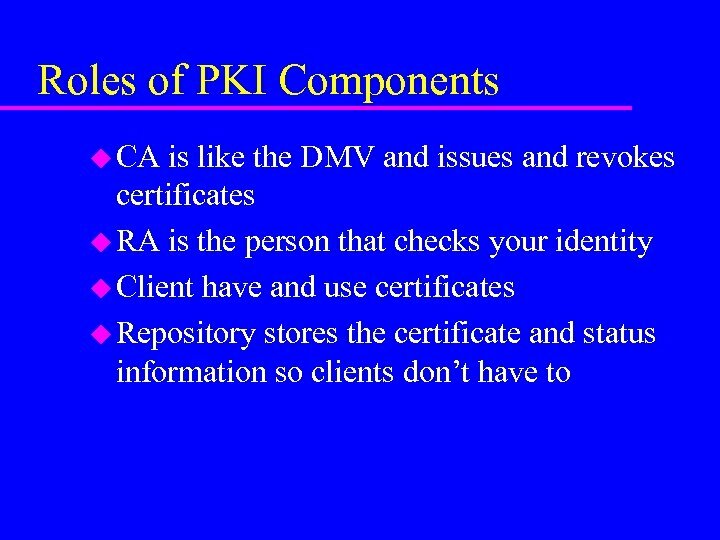 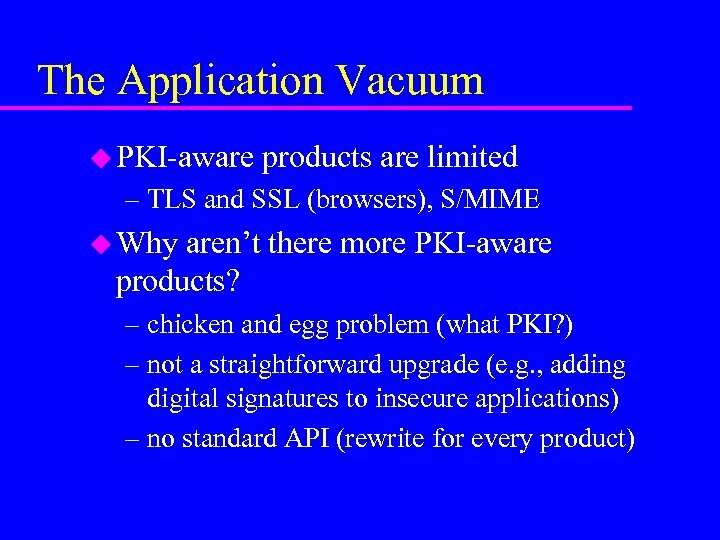 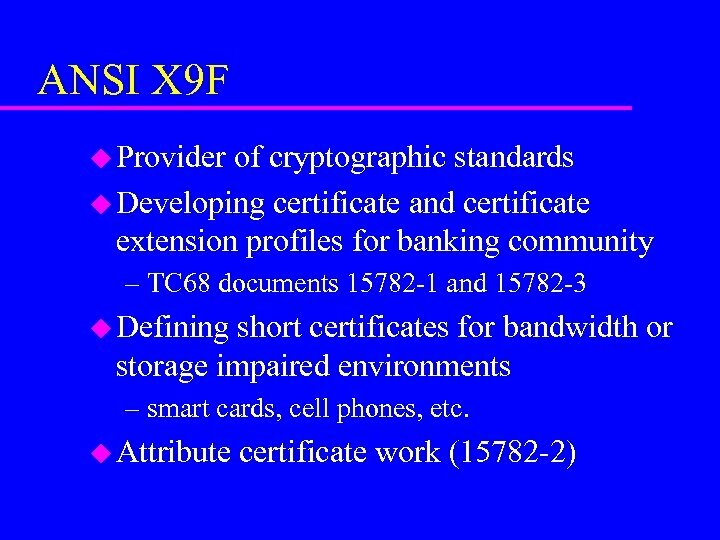 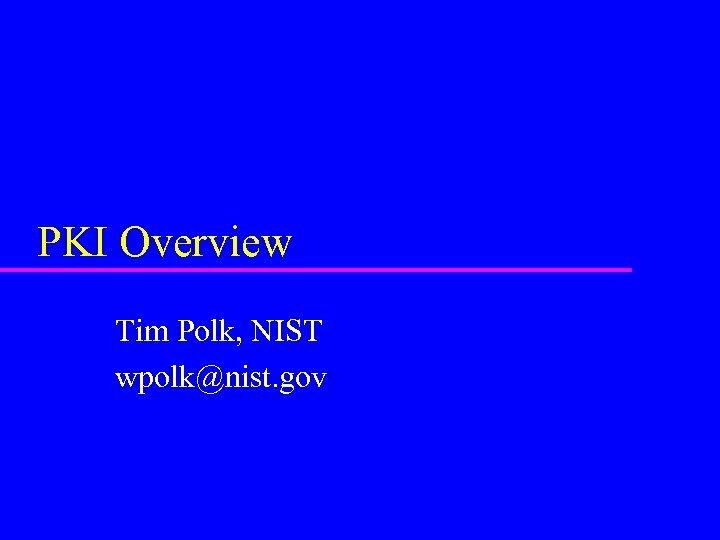 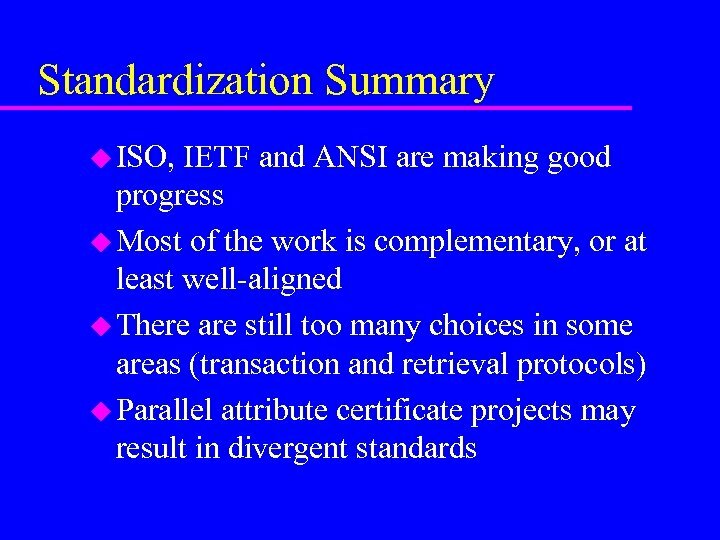 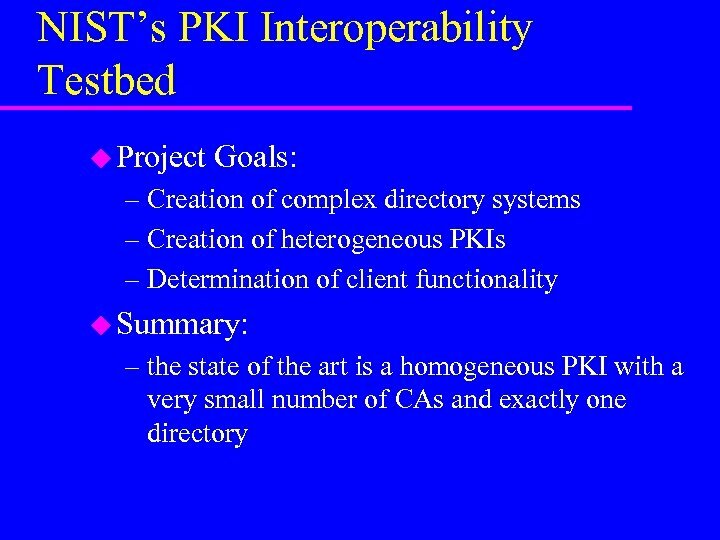 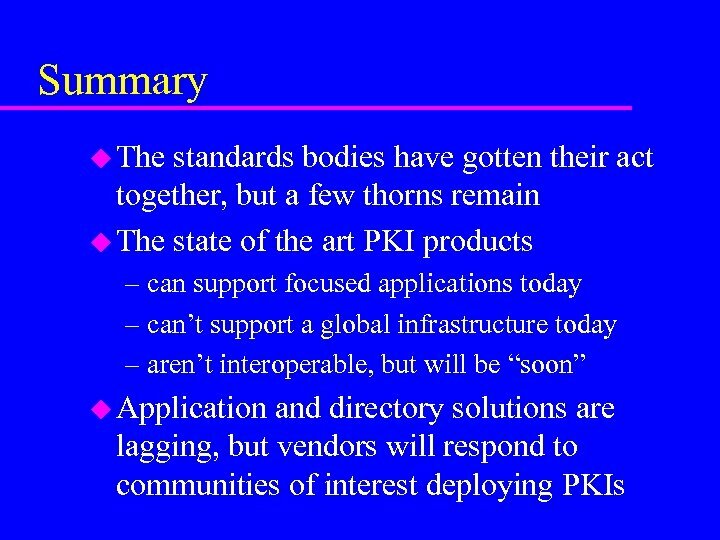 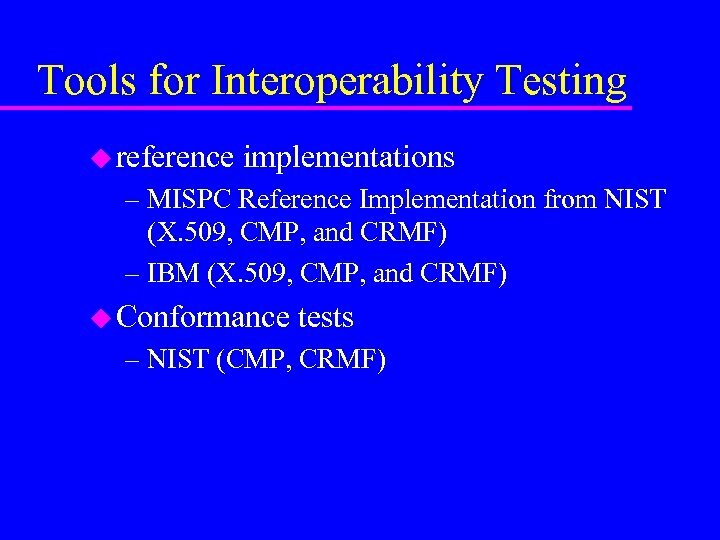 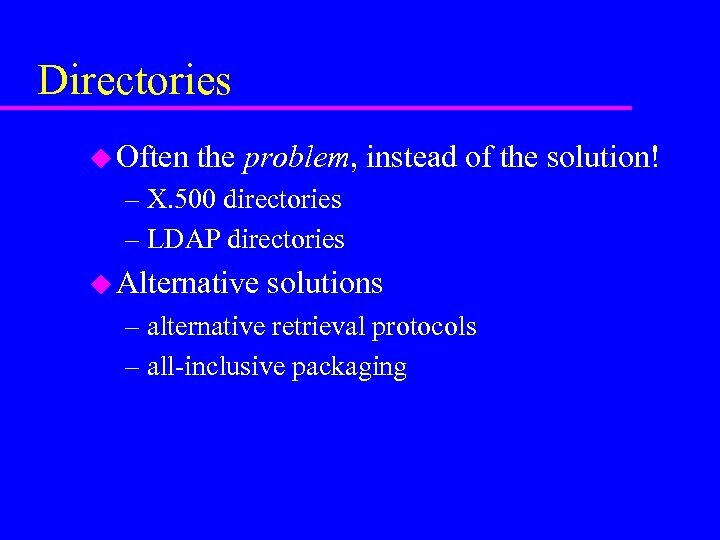 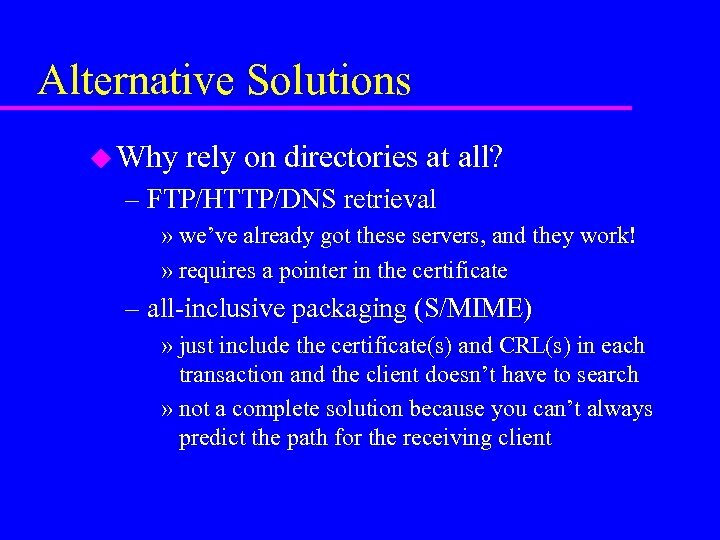 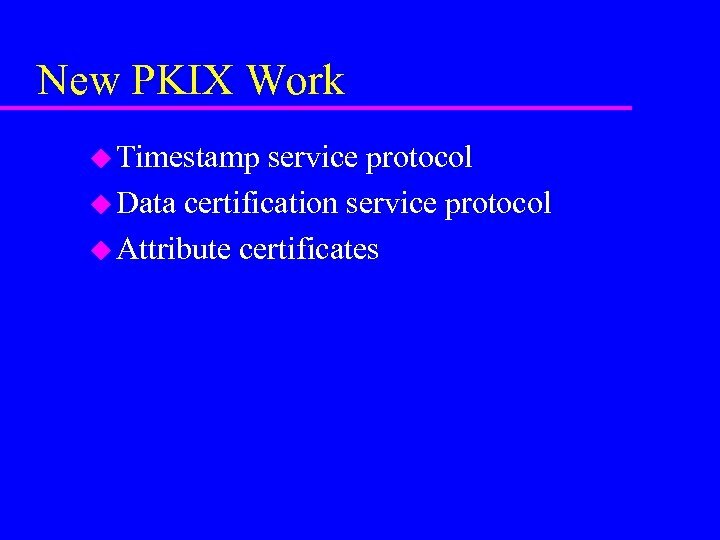 Interoperability Testing u The new frontier – PKI interoperability – PKI component interoperability u Issues: – are certificates and CRLs well-formed? 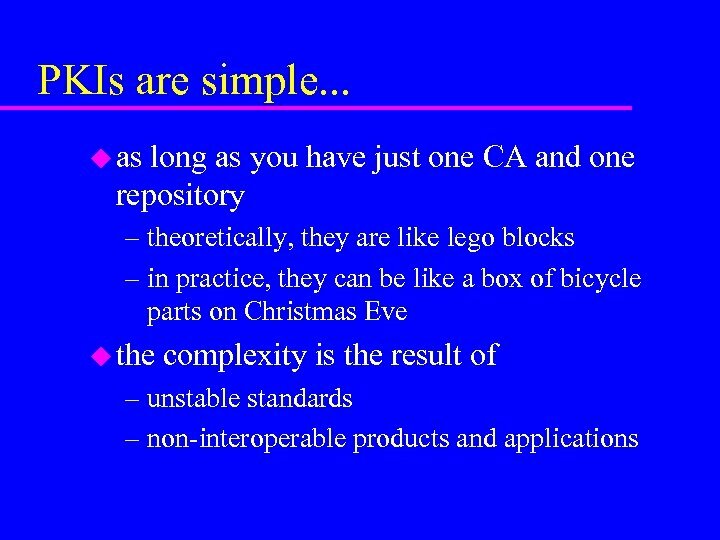 – can components request/revoke certificates? 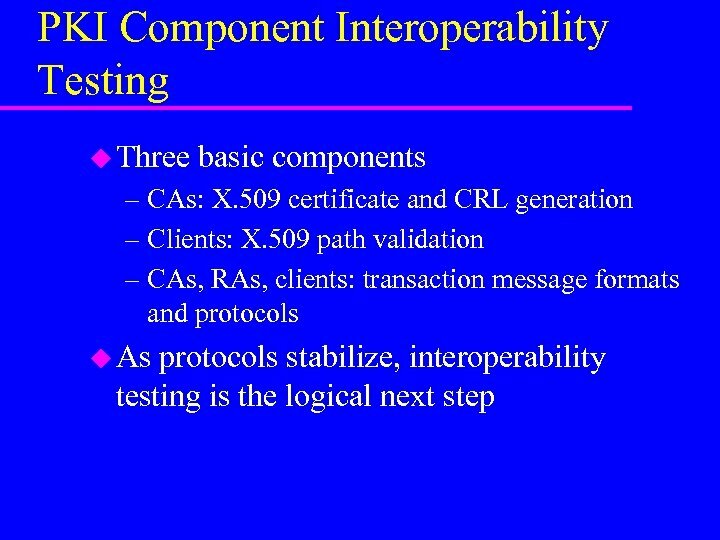 – can clients build/validate paths?